Loving mother of Toni Beth (James) Marnul, Matthew (Johnna), Gregory (Francine), Celeste Duignan, Philip and Albert (Jenna). Proud grandmother of Gregory (Jo-Cele), Katelyn, Kendra, Sabrina, Monica, Michael (Stacey), Daniel (Meaghan), Gregory (Lindsay), Nicole, Ian, Natalia and Grayson. Adored greatgrandmother of Mason, Gavin, Nolan, Colin, Lucas, Brooklyn, Grayson, Brynn, and Eden. Dear sister of Dolores (Carl) Gambotz. Jean’s professional life as a nurse was devoted to helping and caring. She graduated in 1955 from St. Mary’s School of Nursing in Kankakee, IL. She continued her education and graduated with a B.S from College of St Francis, Joliet, IL in 1976. She was the Director of Nursing at Misericordia (Chicago) and St. Coletta’s (Palos Park) facilities providing assistance to developmental disabled adults during her career. 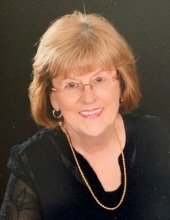 Jean was active in St. Michael’s Parish (Orland Park) leading the Crossroads Ministry for years, visiting the sick and assisting adults in the Annulment process. Jean completed the Called to Gifted pastoral ministry program in 2001. Jean was also a consecrated Daughter of St. Francis de Sales Association for more than 25 years. Her family and friends will gather on Saturday, March 23, 2019 at St. Michael’s Church 14327 Highland Avenue, Orland Park, IL for Mass of the Resurrection at 10:45 am. Per Jean’s wishes, her body was donated to science for research. "Email Address" would like to share the life celebration of Jean Ann Parr. Click on the "link" to go to share a favorite memory or leave a condolence message for the family.